Ideal for four people, but if necessary (double sofa in the living room) can accommodate six people, consists of a living room with kitchenette, two bedrooms and a bathroom. Heating and furnishings designed in particular enrich the offer. We enjoyed our stay in Scauri. We would recommend to friends and use again. All in all very clean, centrally located and with parking. Lovely cosy place, great location, very helpful host. Fun place and Serena was fabulous. Very helpful and always available. We stayed three nights in this nice cottage. The place is clean and feels very homey. It is on a side street tucked in be hind the main house so it is quite. Your parking space is very safe as we are behind a gated fence. It is a block walk to get to a Main Street that has all you need for a short stay. The beach is about six or seven blocks away. We had a great time. 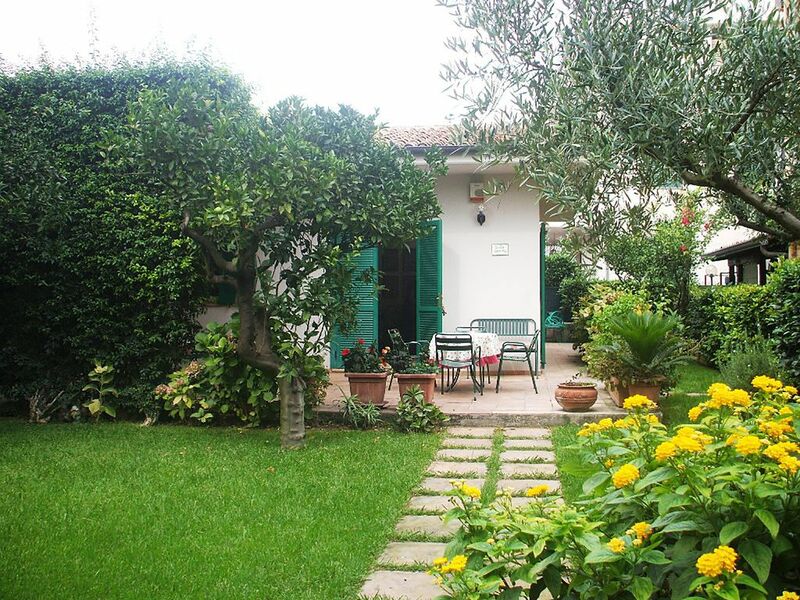 The villa is about a minute from the High Street ... but is in an enclosed garden behind a small apartment building. So it's like being in the countryside with a nice lawn, orange trees and an outside eating area. It's very peaceful too as the surrounding buildings stop any traffic noise. The villa itself (we thought it was more like a cottage) has very nice furnishings and decorations. My wife liked it a lot ... and she is very fussy! Serena - the owner - is really friendly and helpful too. In short, we had a delightful week. The location was ideal. Convenient to the supermarket and restaurants, train station and buses. The grounds of the property are breathtaking. Our host couldn’t have been more helpful. A real gem. The property is located in the city center but at the same time is a few steps from the sea. This allows to easily reach restaurants, bars, ice cream shops, pizzerias are located along the Via Appia, the city's main street. The proximity to the sea means that you can take long walks along the beach, where there are many chalets which offer the possibility of tasting on the beach typical local dishes such as spaghetti with mussels, fried fish or a delicious pizza, but you You can also enjoy the magnificent views of the sunset with an aperitif.